This week Image Books is the sponsor and the book is Scott Hahn’s Consuming the Word. Enter Here. 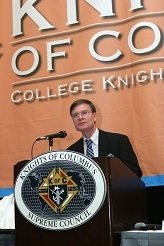 Well folks this week I reviewed the book Man to Man, Dad to Dad : Catholic Faith and Fatherhood. That review can be found here. I also had the pleasure to interview another Catholic author. This week I interviewed the author of Man to Man, Brian Caulfield. What if you are already following my blog by email? No problem. I have set up a new account at MailChimp to handle my emails to subscribers. I have also removed the old WordPress widget for email signup from my sidebar. All new subscribers will go onto the MailChimp list. If you are on the old list, simply sign up for the new list and download the e-book. Then you can click on “unsubscribe” in the email you got today for this post to remove you from the old list. That way, you will not get two emails when I post on Friday. If you have any questions about this, leave a comment or email me directly. 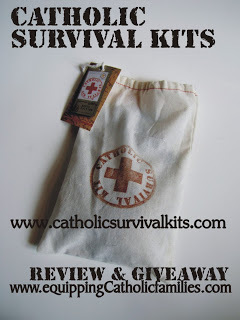 Catholic Survival Kits Review and Giveaway! 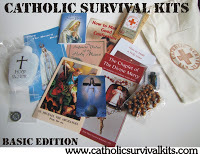 check out these wonderful Catholic Survival Kits! 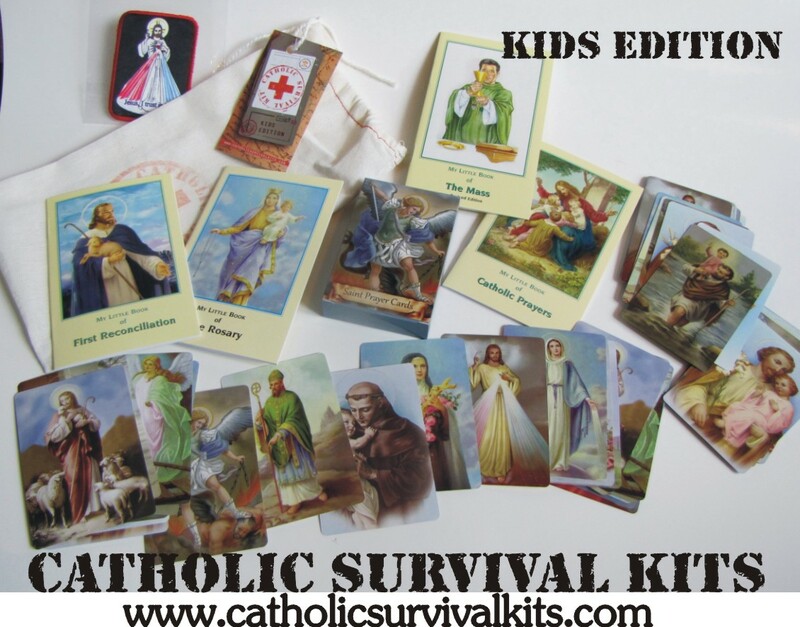 …all three editions: English, Spanish and Kids! 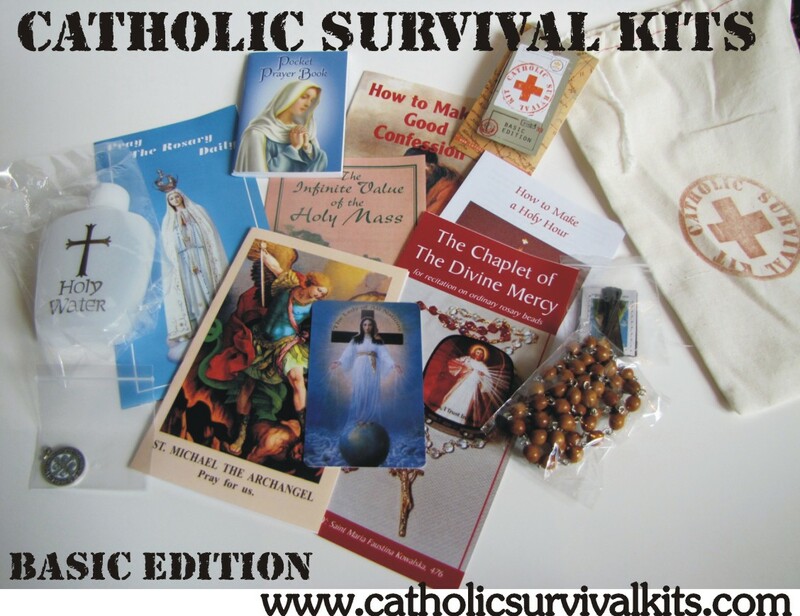 Enter my Catholic Survival Kits GIVEAWAY to win one for your favorite cradle Catholic, newbie Catholic, Sacrament candidate, Godchild or college student! Anyone YOU have in mind? 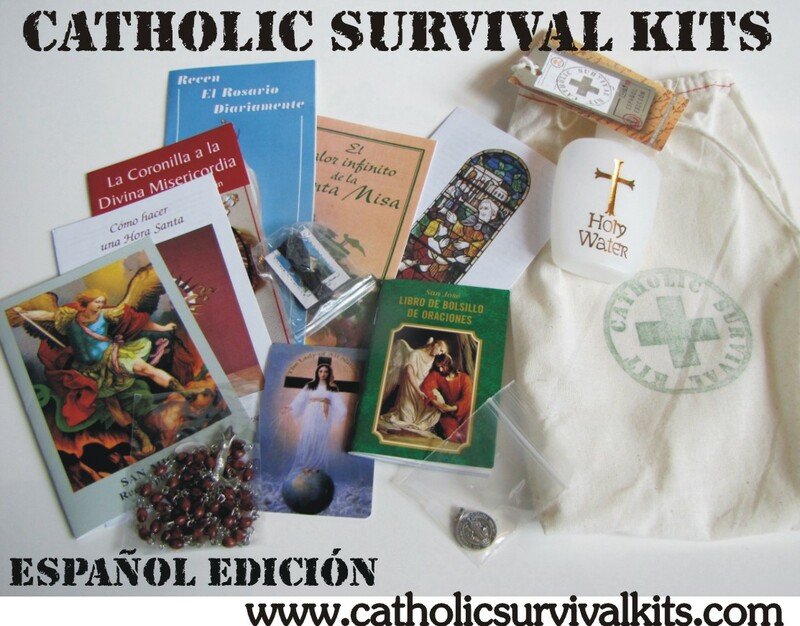 Which one do YOU plan to WIN at the Catholic Survival Kits GIVEAWAY ? This week over at the Catholic Book Blogger, Pauline Books and Media is offering one lucky winner a copy of Brian Caulfield’s newly released Man to Man, Dad to Dad : Catholic Faith and Fatherhood. I will be posting my review soon as well as author interview. I really enjoyed this book and recommend it highly. Enter Here! I am participating in a Kregel Publication Blog Tour for My Very First Noah’s Ark Playtime Activity Book with Stickers by Lois Rock. 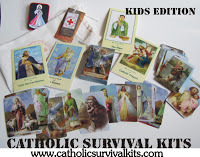 This 16 page activity book is for very young children that teaches the Noah’s Ark bible story. As the title suggests, it’s an interactive book with many stickers that help teaches this popular story. Children can develop their pre-reading skills in the areas of letter sounds and counting skills. They are also working on their fine motor, identification and matching skills. So, as they learn about God and His promise to Noah they are also working on their cognitive and manipulative skills! 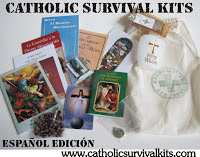 Great for spiritual and academic learning. For a parent or teacher who selects this activity book, it’s mostly to teach the children about this popular bible story. What I do appreciate about this book is that it did NOT include God’s displeasure at the pervasive wickedness of mankind and how he intended to wipe them from the face of the earth. This book is geared towards young children who may become fearful of God’s action of flooding the earth which meant many lives ended. God’s intent was not to destroy man but to destroy the wickedness and sin. This is a hard concept for little ones to understand, therefore, I appreciate how this book glossed over that truth. Older children may wonder at what happened to all the other people but younger ones probably will not. 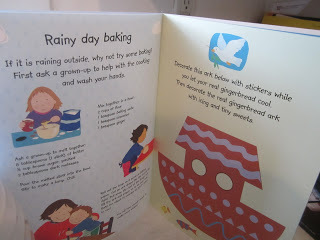 In the middle of Noah’s Ark Playtime book is a gingerbread recipe with directions to shape it into an ark. 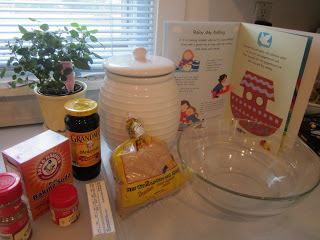 Totally fun for kids and it’s easy to make. Here are the ingredients. My version cooled and decorated. 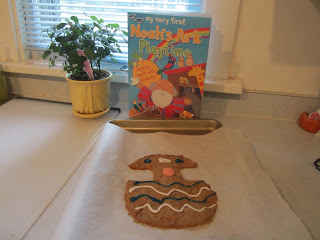 There are countless ways of decorating this fun cookie. 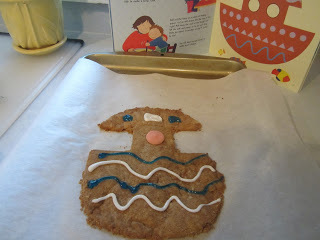 Noah’s Ark cookie that was very yummy! The only critique I have is that the stickers are not reusable. Of course, the child can always read the book or use the pictures as a prompt to retell the story. Plus the many stickers will not be used in one sitting but it would have been nice if they could have been used repeatedly. I was given a complimentary copy of Noah’s Ark Playtime for my honest review. Thank you Kregel Publications for inviting me to participate in your blog tour. This week I reviewed Ignatius of Antioch and Polycarp of Smyrna by Kenneth Howell. That review can be found here. 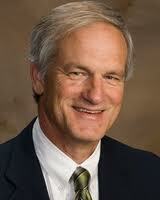 Additionally I was fortunate to have an interview with Ken. To read that interview continue reading…. I want to invite you all once again to enter this weeks giveaway. Up for grabs are TWO books this week. The first two volumes in the Early Christian Fathers Series by Kenneth Howell. More details here. One of the awesome things about being a book reviewer is being able to touch base with the authors of the books I review. Yesterday I posted my review of Strange Gods : Unmasking the Idols in Everyday Life. You can find that review here. I was really excited when Elizabeth Scalia, The Anchoress, agreed to take some time out of her busy schedule to answer a few questions. 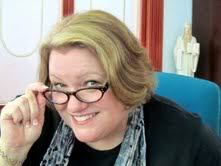 So without further ado….here is my latest author interview at the Catholic Book Blogger. Continue reading……..